The Stiftung Warentest has placed in their test 5/2018 economical circulation pumps to the test. In the test, 14 circulation pumps had to show how well they manage with electricity. Ten external circulating pumps for heating systems (heating circulating pumps) and, as an example, two circulating pumps each for the collector circuit of thermal solar systems (solar pumps) and for the brine circuit of geothermal heat pumps (brine pumps). The evaluation included the characteristics of energy efficiency 50%, commissioning 30%, processing and construction 10%, as well as the declaration 10%. We think this is a reason to celebrate and would like to share with you a special discount of 5% on your current price terms. 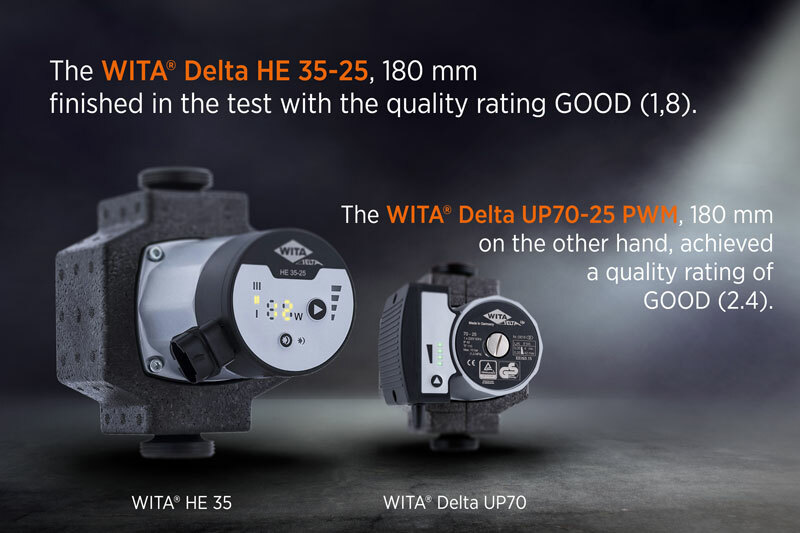 This discount applies to all WITA® circulating pumps ordered from today until the end of July.